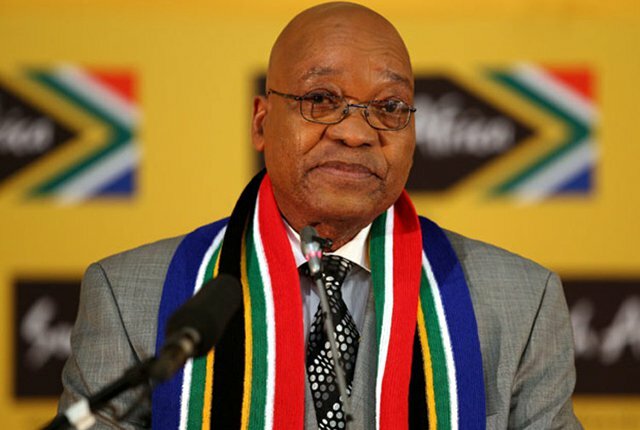 So, the traditional council of Imo State, Nigeria are really impressed with the president of South Africa, Jacob Zuma and, to show how impressive they are, President Jacob Zuma was honoured with a chieftaincy title in the state. At the conferment of the chieftaincy title to President Jacob Zuma, the governor of Imo State, Rochas Okorocha and Nigeria’s former president, Olusegun Obasanjo was at the ceremony. President Jacob Zuma was honored with the traditional title of “Ochiagha Imo” by Eze Imo, HRH Samuel Ohiri. The PUNCH newspaper had earlier reported that the Imo State governor, Rochas Okorocha had revealed earlier that the South African president will be signing a Memorandum of Understanding (MoU) between his Zuma Foundation and Okorocha’s Rochas Okorocha Foundation. To caption the chieftaincy title given to the South African President, Jacob Zuma and to validate the MoU between Zuma Foundation and Rochas Foundation, the governor of Imo State erected a giant statue of the South African president in the heart of Imo State, Nigeria.